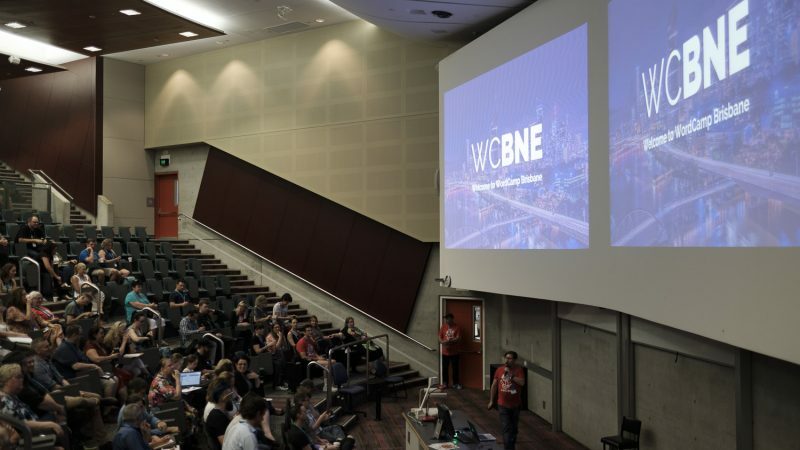 Just last month I attended WordCamp Brisbane 2018. 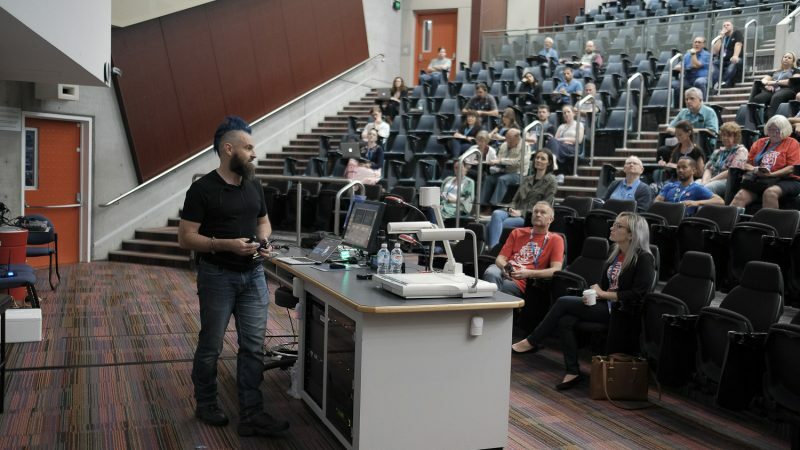 It was the third WordCamp in Brisbane in the past four years, and my sixth WordCamp. While it was an exhausting weekend it was without a doubt one of the best WordCamps I’ve been to. The weekend kicked off with a bit of a community focus. Wil Brown spoke about the various ways you can contribe back to WordPress and Sally Eberhardt spoke about how to make the most of attending WordCamp. As a developer myself, I usually get the most out of the developer talks at WordCamps. The last couple of WordCamps I’ve been to haven’t really had much for me, whether that was because the dev talks were too basic or just not something new for me. That was not the case here as all the dev talks were really good. 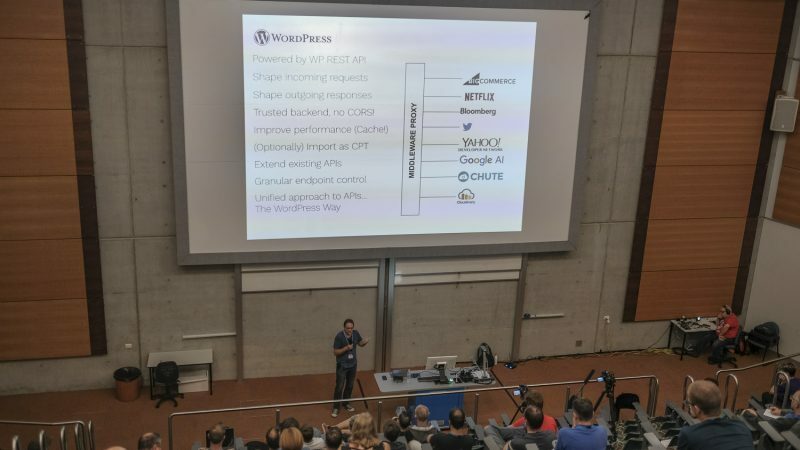 Rheinard Korf presented a proof of concept for using WordPress as API middleware, Andrew Duncan gave a great introduction to the WooCommerce REST API and there were a couple of talks about managing WordPress at large scale. I don’t know about anyone else but accessibility isn’t something that’s usually top of mind for me while I’m building sites. However one of our speakers was legally blind, which was enlightening to see just how difficult the web can be without accessiblility considerations. The hot topic in the WordPress world for the past year or so has been the Gutenberg project. With WordPress 5.0 optimistically scheduled to be released later this month with Gutenberg as part of core, it was the feature of most conversations. Dion Hulse, lead developer of WordPress, lead a demonstration of the Gutenberg block editor and WordPress 5.0. 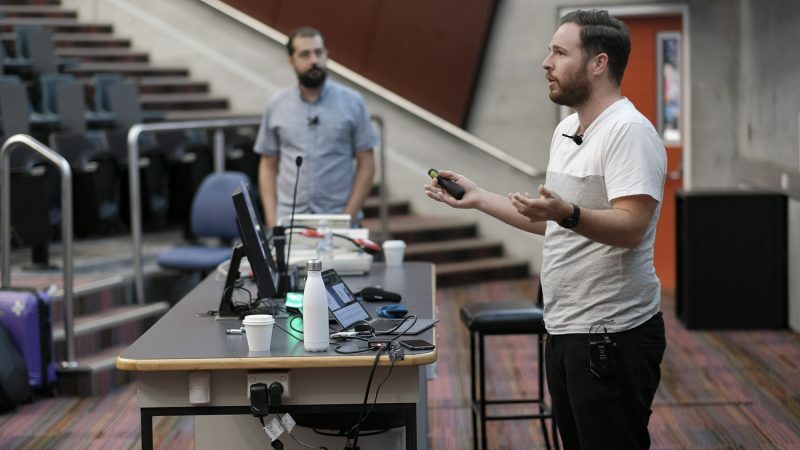 Luke Carbis & Brendan Woods from XWP took a slightly different approach, talking about how new technologies such as alternate reality, virtual reality, internet of things and the blockchain are becoming adopted by the world. I don’t think there’s been a talk on podcasting at a WordCamp I’ve attended before. Here we had one on podcasting and another on setting up an internet radio station. I’ve recently started getting into podcasts and it seems the rest of the world is too. Apparently WordCamp Brisbane has a new mascot in the form of Benny the Bin Chicken. There was even a contest for attendees to take photos of bin chickens around the venue. I was hoping to speak at WordCamp Brisbane this year, and part of the reason I didn’t join the organising team was so that I might have the time to prepare a presentation. Unfortunately it was not to be, and I was only selected as a backup speaker. All the speakers showed up on the day so there was no need for me in the end. However instead of speaking, I was a room MC for most of the weekend. While this did mean that I missed out on a few talks that I really wanted to see, the ones I was forced to attend were pretty good. I really enjoyed being an MC so I’ll probably put my hand up to do it again in the near future. Alex Shiels from Automattic was roaming the venue with his camera at the ready. He took a number of fantastic photos which are available on Dropbox. 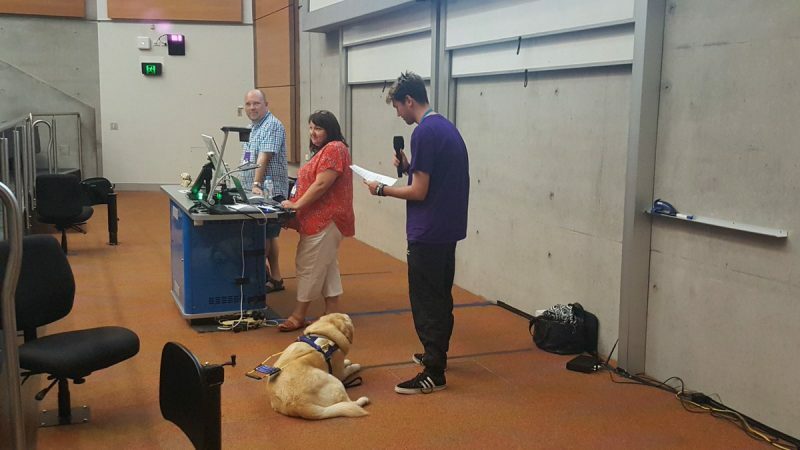 A big thank you to all the organisers, volunteers and speakers who put WordCamp Brisbane 2018 together. 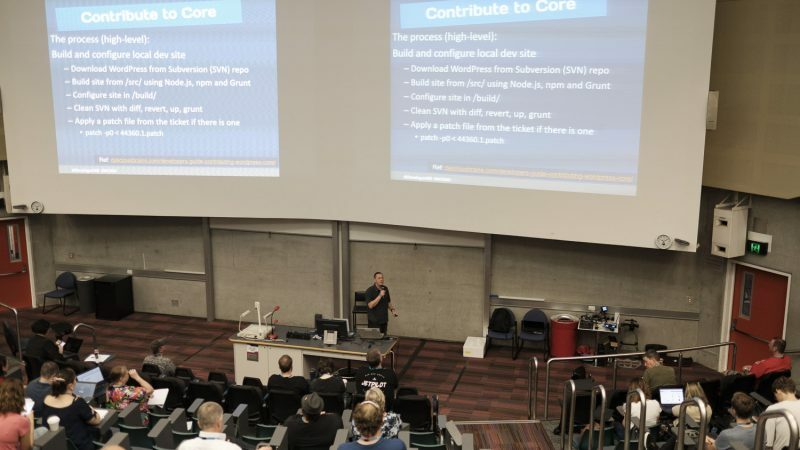 There were rumours of potentially six Australian WordCamps in 2019 and I can’t wait for the next one.